Fabric is printed with the design, so you simply embroider over the top. Printed fabric size 19cm x 19cm Design is approx 11cm x 11cm we have allowed space around the design so you can add extra embroidery if you wish. How to pick your own colours. 1. From the drop down box in Purchase Options pick Chosen my own colours. 2. Go to our 4mm silk ribbon colours here, and choose 2 colours. Write a note of the colour names. 3. 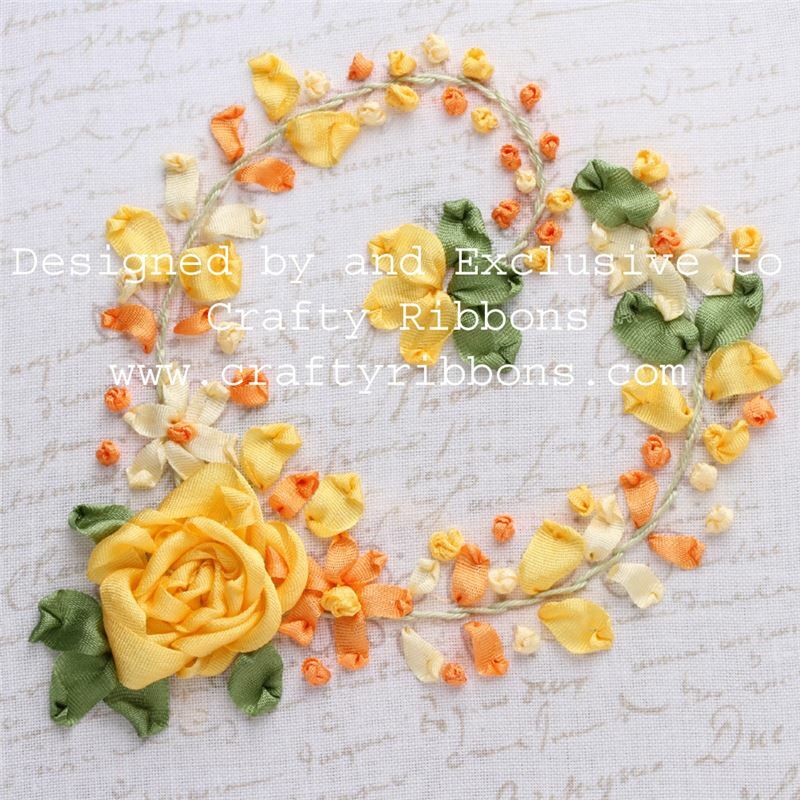 Go to our 7mm silk ribbon colours here, and choose 1 colour. Write a note of the colour name. 4. During the check out process there is a Special Instructions box. Type in the 3 colour names you have chosen and the widths. We will then make the kit up for you.